Similarly, Non-toxic Oxyclean diluted in water can be used in to remove stains from glassware. Rub the mix into the stains before washing glassware in your glasswasher. Fixodent mixed with hot water can also be used by rubbing the Fixodent into glassware as with Oxyclean and salt. Following this glassware can again be washed in your glasswasher to achieve exceptional results. Homebrew methods may not be suitable to a busy pub or restaurant environment however where glasses need washing quickly and efficiently. 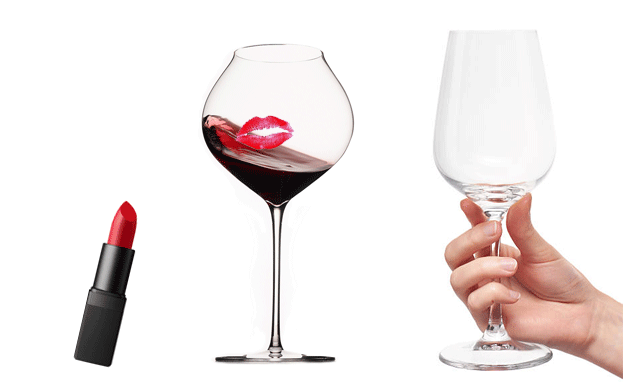 The Quash Lipstick remover is our go-to solution for quickly removing lipstick from glassware. This is perfect when in a restaurant or pub where washing glasses needs to be a quick and painless task. 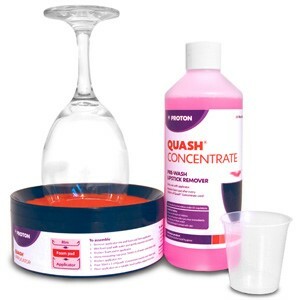 The Quash stain Remover Kit help achieve sparkling results from your glassware. 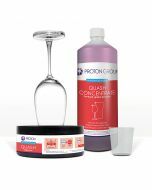 The kit comes with an applied applicator and Quash Concentrate which quickly cleans the rims of your glassware before washing them in your dishwasher. 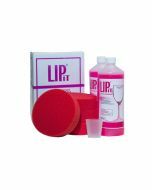 The starter pack available here includes 500ml of Quash concentrate, foam pad, applicator, and measuring cup. Refill packs are also available here which include replacement pads and additional concentrate. Before use remove any debris from the glass, i.e. lemons, dregs. Turn upside down and press gently into foam pad. Twist glass left then right using all the foam pad. For stubborn stains repeat procedure. Place the glass in glasswasher rack ready to be washed. Clean applicator and foam pad daily. Rinse aid pump may not be configured for the correct dosage. Limescale builds up within glasswasher.